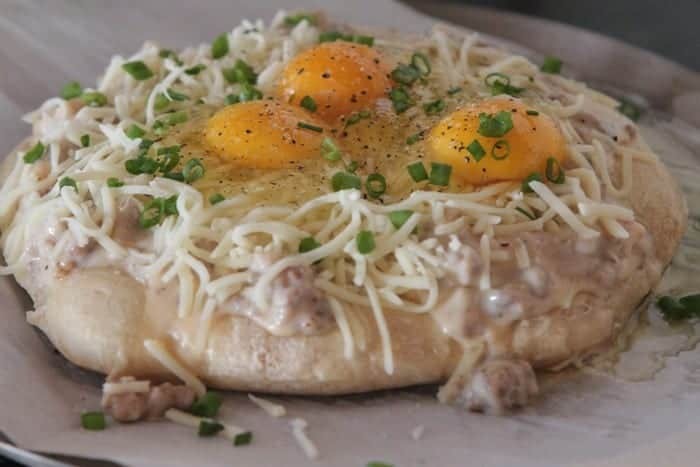 This Sausage and Gravy Breakfast Pizza makes a fun breakfast, brunch or even dinner! Not even kidding, this pizza is one of our favorite things in the whole world. 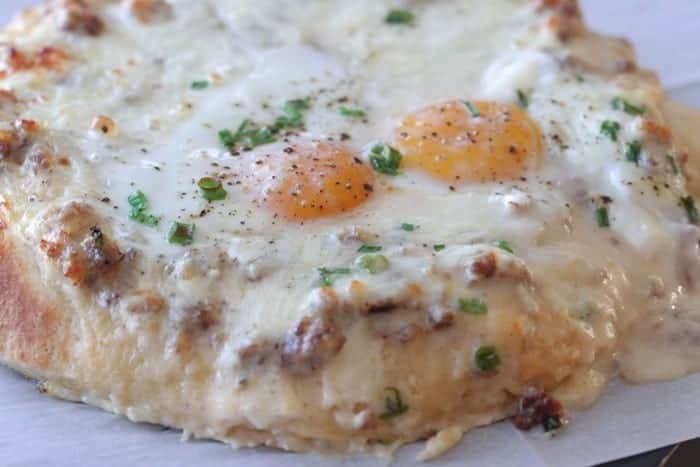 Sausage gravy as the “sauce,” sunny side up eggs, mozzarella cheese and garnish with chopped green onions….out of control good. Just you wait until you try it. Because I did a thick crust for this particular pizza today, I pre-baked the crust for 10 minutes before topping and baking again. 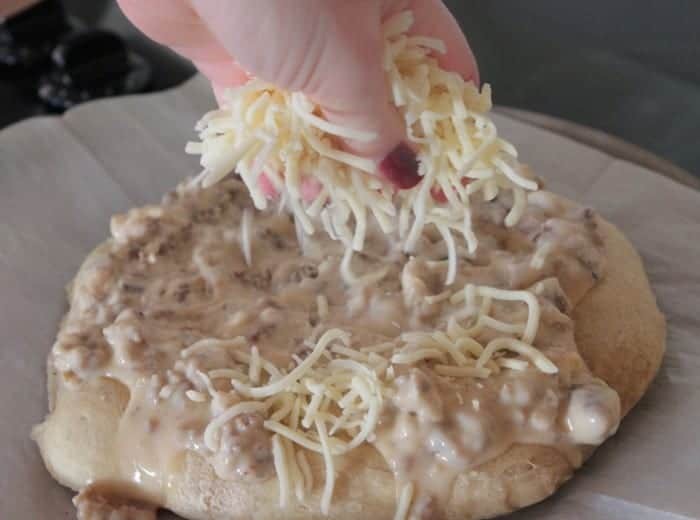 Top with your sausage gravy (see instructions below) and some shredded cheese. Top with 2 or 3 large eggs. Right on top. Some will spill off the sides. Don’t worry about it. Bake until eggs are set and pizza cooked. How gorgeous?! Because my crust was a little uneven and so puffy, I lost an egg, lol! Either way, this baby is beautiful and delicious! Eggs make everything so delicious! Hope you enjoy one of our favorite pizza recipes! Preheat oven to 425 degrees F. and line a pizza pan with parchment paper or lightly spray with cooking spray. 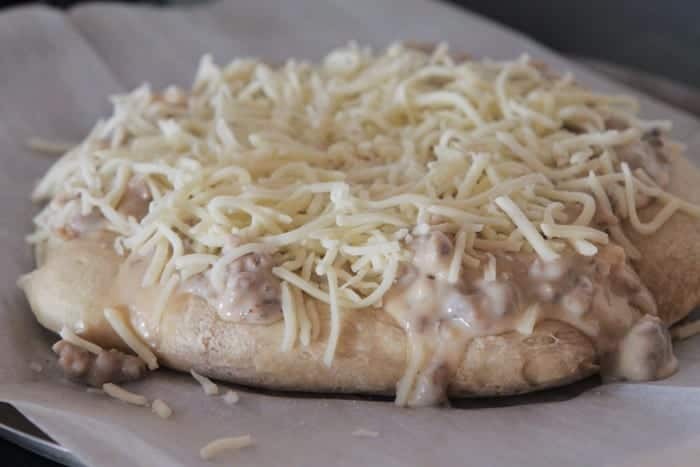 Press pizza dough on pizza pan, pressing evenly to 10-12 inch pizza. Bake for 10 minutes then remove from oven. Brown and cook sausage, set aside. To prepare gravy, melt butter into medium saucepan over medium heat. Whisk in flour, salt and pepper until thick and combined. Slowly whisk in milk, whisking constantly until thick and creamy. Stir in cooked sausage. 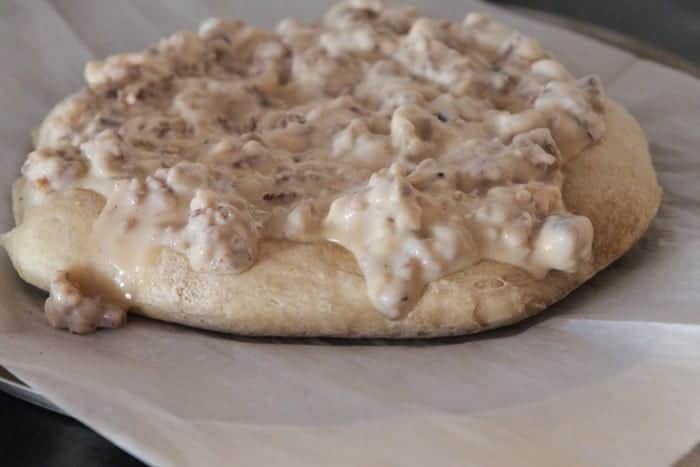 Spread 1/2 cup-3/4 cup of sausage gravy over partially cooked pizza dough. Top with shredded cheese, eggs, salt, pepper and green onions. Bake for another 15-20 minutes until eggs are set and pizza is cooked through. Remove and let cool for 5-10 minutes before serving. Save extra gravy for additional use. Great over biscuits, toast or inside breakfast burritos. 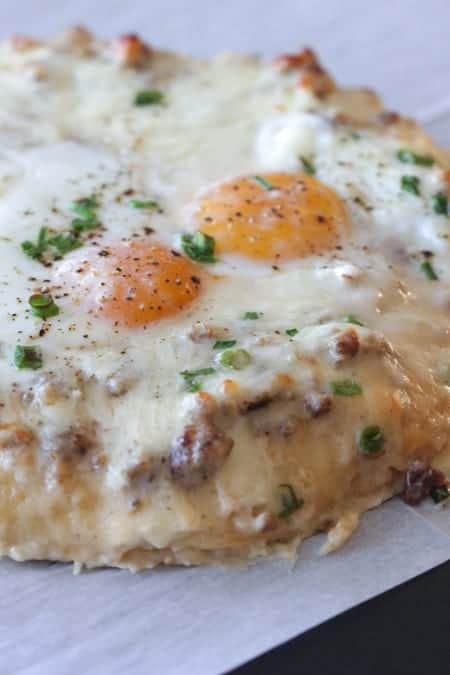 Next time I’m tempted to hit up Cracker Barrel for breakfast, I’m making this instead! All the comfort, and no food thrown the floor by my kids. That’s the worst part about dining out with kids, the food on the floor, the tantrums, taking them potty 1000 times, you get the drift. 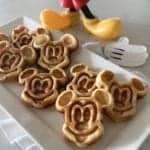 Remind me to make this delicious breakfast instead and pop in a Veggie Tale. What a brilliant idea for breakfast!! Need this now! 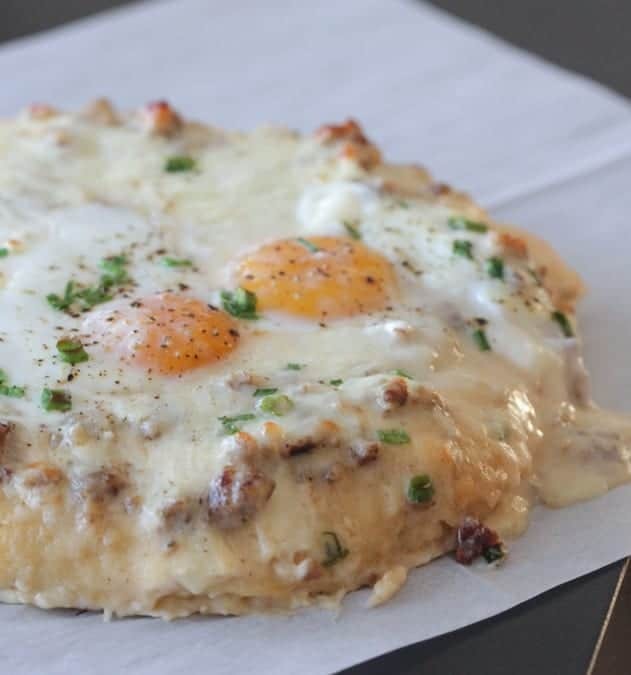 Totally my kind of breakfast – pizza – I’m, yesss! Sounds amazing, Jenny! Thanks for the recipe! If Josh sees this he’ll have me making this every morning! I never want to NOT be eating this, now that it is in my mind. WOW. All of my favorite things rolled into one! Love! I adore sausage and gravy! What a wonderful idea to make it on a pizza. That egg on top?!?! Woah! You win!! Something I could definitely do when I have people over — who wouldn’t love this?? And I wanted to say that it was so easy to print the recipe – thank you for that too. This sounds so tasty and I cannot wait to make it. 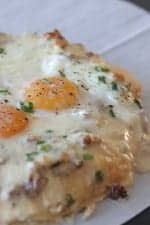 I make a biscuits and gravy scrambled egg casserole that I love, but I much prefer a sunny side up egg to a scrambled one. Thank you so much for this delicious sounding recipe! 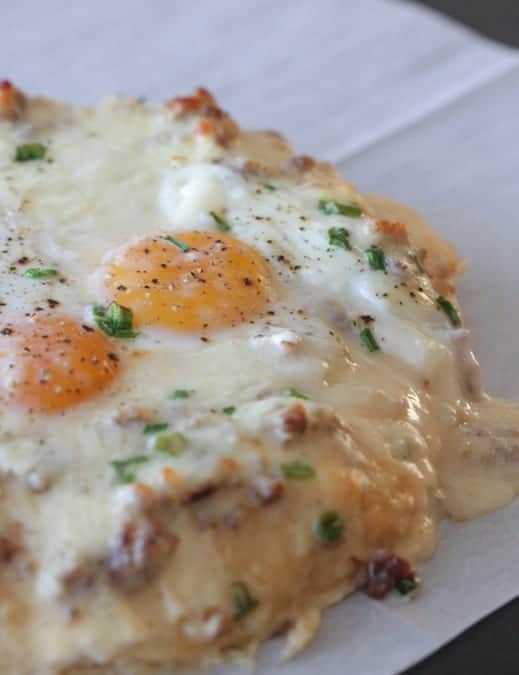 Update…I just made this tonight for dinner..Oh My Gravy….this was so oooey, goooey, cheezy, yolky, tasty!!! I Loved loved loved this! Thank you so much for this delicious recipe!